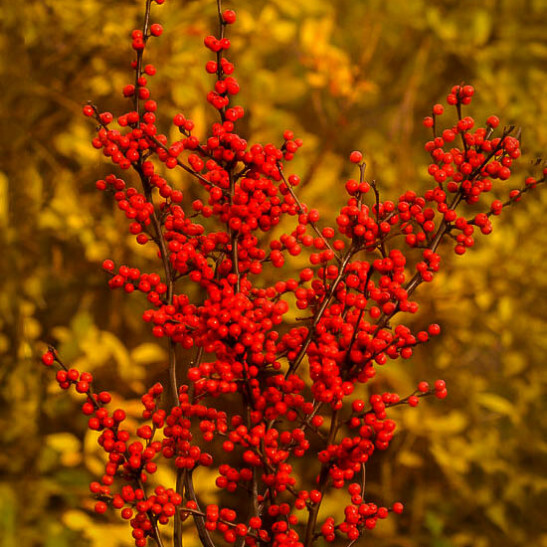 The Berry Heavy® Winterberry carries a wonderful crop of bright-red berries in fall and early winter, which decorate the bare branches and bring lots of color to a quiet time in the garden. 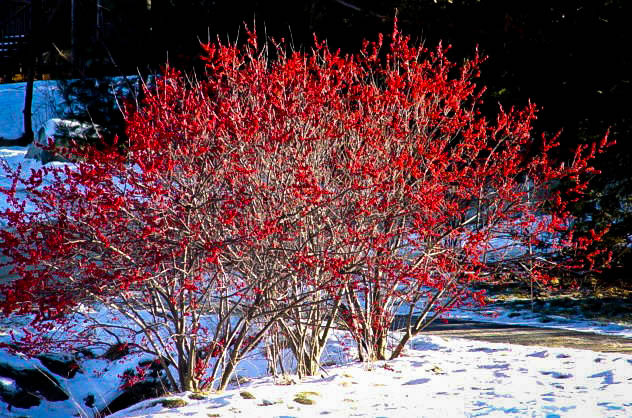 It is hardy across all the country, even in zone 3, and the berries glow like fire against the winter snow. 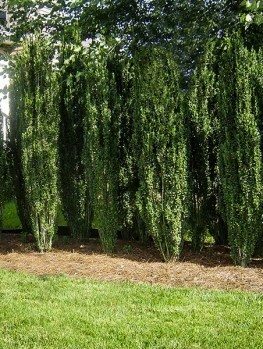 This shrub grows between 6 and 8 feet tall, and develops into a broad clump, ideal for background planting. 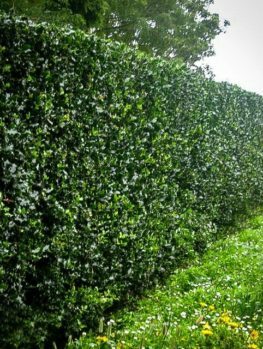 Use it along the edges of woodlands, as an informal lower screen, and among other shrubs in the garden or around the house. The branches can be cut and brought indoors for decoration over the holiday season, and later the berries become valuable winter food for wild birds. This easy shrub is perfect for extending the season of color in your garden. The Berry Heavy® Winterberry will grow in a wide range of soils, from ordinary garden soil to wet soil along streams or around ponds. It grows in full sun or partial shade, preferring afternoon shade in hot zones. 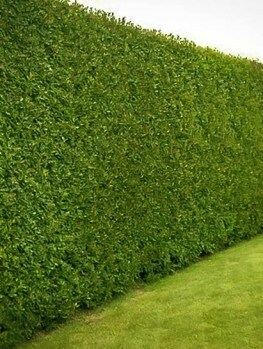 It has no pests or diseases, and apart from some water during dry spells, it needs no special care. It can be pruned in early spring to keep it vigorous by removing some of the oldest branches right at ground level. New shoots will quickly grow up to replace them. With the profusion of spring and summer flowers, it is easy to forget about the other seasons. Because of this we often miss out on fall and winter effects, yet when those seasons do arrive, we certainly do miss color. 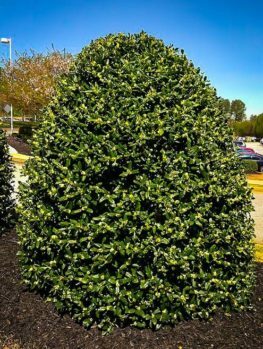 Don’t get caught again with a dull fall and winter garden and choose some easy shrubs that are full of bright berries – like the Berry Heavy® Winterberry, an improved form of an American native shrub. 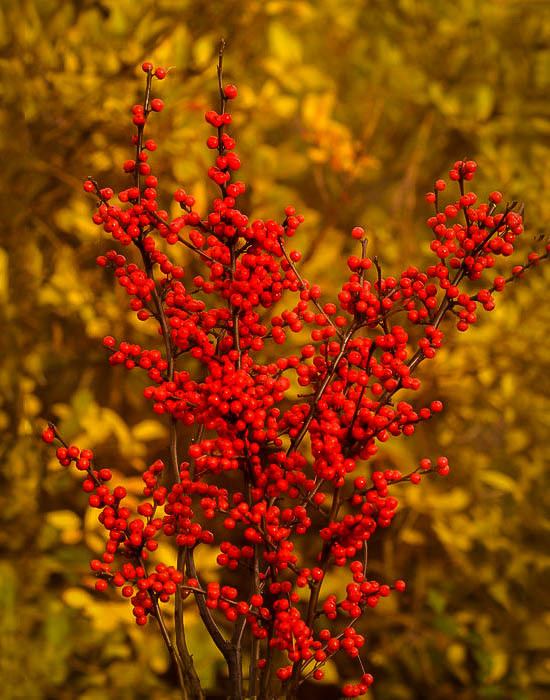 It produces a profusion of rich red berries all along the bare stems in fall and into winter, and it’s a great way to brighten to your garden. 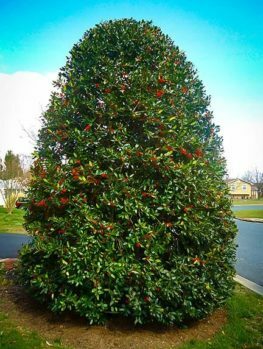 The Berry Heavy® Winterberry is an easy-to-grow plant that forms a broad, upright bush, between 6 and 8 feet tall and wide. New stems grow up from the base, making a dense thicket of branches. 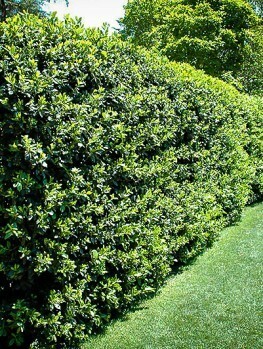 This deciduous shrub has glossy mid-green leaves between 1½ and 4 inches long, and ½ to 1½ inches wide. They have a row of very small soft ‘teeth’ along each side. In spring, clusters of tiny white flowers develop after the new leaves come out, but these are not conspicuous, and they can easily be missed. During summer these flowers turn into tiny green berries, that grow to be almost ½ an inch across. In fall the leaves turn yellow, and then drop to the ground, revealing big clusters of berries all along the stems. By that time the berries have turned brilliant red, and the effect on the bare stems is stunning. What was a quiet background shrub now suddenly dominates your garden, glowing across it like a beacon. The berries last for a very long time, right through the winter holiday season, before softening and becoming a valuable winter food for local wild birds. The Berry Heavy Winterberry is perfect for planting behind smaller shrubs and flowering plants. Those plants will give you lots of spring and summer color, and as they finish, the bright red berries take over. Plant it near your home to cheer up winter days, or at the edges of wooded areas, just as it might be seen in nature. 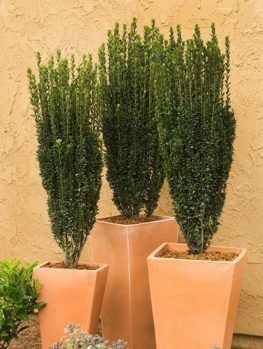 For group plantings, or for an informal screen, space plants four feet apart, or 5 feet apart in wet soil, where plants will grow larger. As a native shrub it is a perfect choice for natural gardening and for wild-life plantings, because the berries are an important winter bird food. The berry-laden branches can be cut and brought indoors to place in vases and brighten your home with, or smaller pieces can be added to wreaths and decorations. The berries are not edible, but they are not poisonous, so they are safe around children. The Berry Heavy Winterberry is incredibly cold-hardy, growing well even in zone 3, with winter temperature of minus 40. It also grows perfectly well all the way into zone 9, where it will benefit from shade and damp soil. In the wild it grows mostly in wet soils, so it is ideal for all those soggy spots in the garden, around a pond, or along a stream, river or lakeshore. It will grow just as well in ordinary garden soil, especially with a little extra water during dry weather. It grows in sun or partial shade, and it is happy along the edges of a wooded area, with a blend of sun and shade from overhead branches. This really is an easy plant to grow, and it grows well just about anywhere you plant it, except for sandy, always-dry spots. It has no significant pest or diseases. Older plants can be pruned in early spring, before the leaves emerge, by removing some of the thick, old branches completely at the ground. You can also control the height by removing the upper one-third of the tallest shoots. 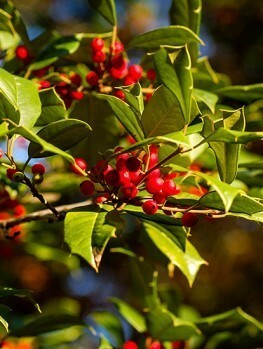 The Winterberry (ilex verticillata) is an American native plant, found growing throughout the east from Newfoundland, Canada, all the way south to Alabama. Until we see the berries it is hard to realize that this is a deciduous relative of the evergreen holly trees that we use for hedges, but the similarity of the berries gives it away. The Berry Heavy Winterberry is a specially selected form called ‘Spravy’. It was chosen from among many seedlings for its vigorous growth and exceptional, heavy crop of winter berries. It is part of the ‘Proven Winners’ range of plants, varieties carefully selected as the best varieties available. For a crop of berries you need to plant one male tree among every five berry-carrying trees. The Berry Heavy Winterberry is in high demand, because it delivers a bumper crop of berries, much more than common winterberry bushes do. Our stock will not last long, so order now, and bring color to your garden in fall, and winter too.